Case Study - West JR Bus Company | UNIVERSAL SOUND DESIGN Inc.
Q1. Please tell us what led you to introduce Comuoon. Various customers, including males and females of all ages, use public transportation such as buses on a daily basis. 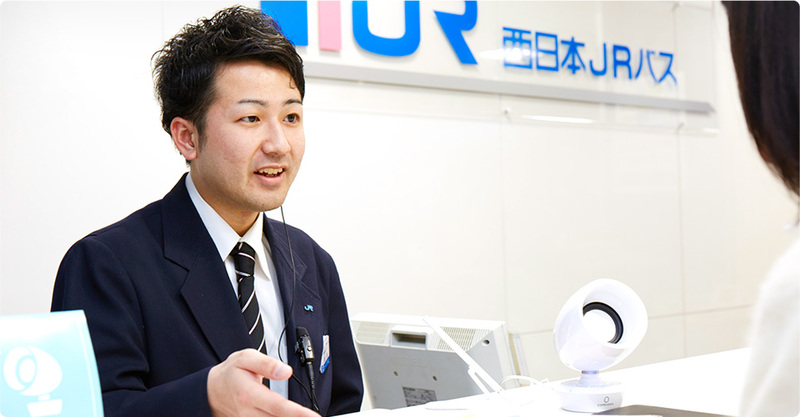 Many customers who have difficulty hearing words, or who are elderly, come to the ticket sales counters. 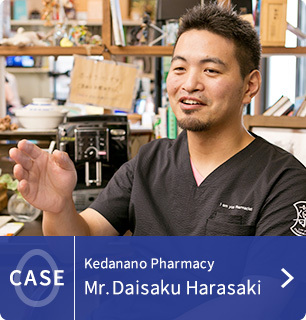 In order to provide efficient and comfortable services to all customers, our company has been encouraging all employees who work on the counters to acquire qualifications in sign language and has provided them with support, including training. In April last year, during the course of these activities, the Act on the Elimination of Disability Discrimination came into effect and we were examining ways to take specific actions not only on the tangible aspect, such as sign language but also on intangible aspect. It all started when I happened to read a newspaper article about Comuoon being introduced to bank counters. Then, I learned about the details of Comuoon on websites and I thought that this device could improve service quality on our ticket counters in a tangible way, which led to a specific consideration regarding its introduction. Q2. How do you usually utilize Comuoon? 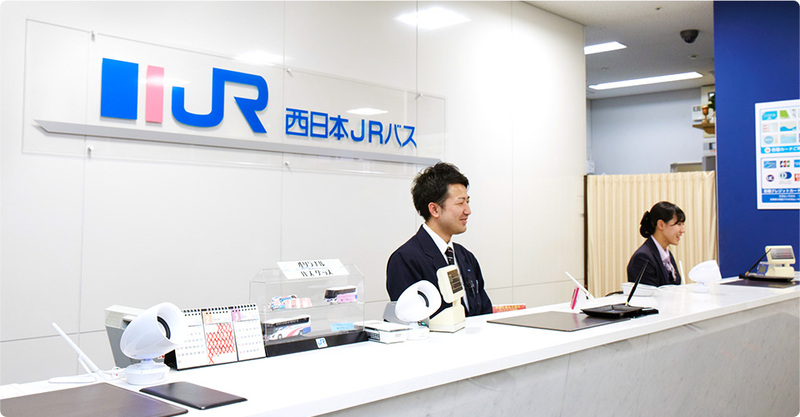 We simultaneously introduced a total of eight Comuoon units: three on the ticket sales counter of the JR expressway bus terminal of Osaka Station, two units on the Sannomiya bus ticket counter, and three on the Kyoto bus ticket center. Currently, it is installed on every counter of each window. We keep the Comuoon units turned on at all times during operating hours in an effort to provide service with clear voices that are easy for all customers to hear. My first impression of Comuoon was that it was very small and had a design that gives one a sense of closeness but, when I actually used it by making a sound, I was surprised by its clarity. Comuoon has had a powerful and positive effect on communication with customers as a speaker that is easy to hear. Actually, we recognize that we have fewer occurrences of erroneous issuance of tickets due to the misunderstandings that used to occur. Q3. Please give a message to people who are considering introducing Comuoon to their counter services. Now, more than ever, bus tickets are easy to purchase due to Internet sales. 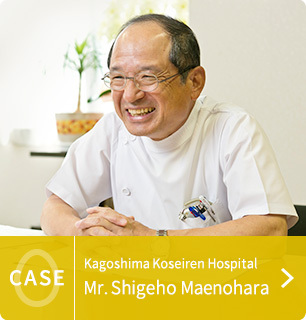 However, some elderly people find online purchasing difficult. For that reason, I think counter services, which can provide face-to-face communication with customers, are absolutely necessary. Following our introduction of Comuoon, we received a lot of feedback from frontline personnel indicating that they are seeing its powerful effects. Aiming to create an amenable starting point for a comfortable bus trip, we will continue to work to provide better services centering on Comuoon. Voice of a person in charge of a counter. I remember the first time I used Comuoon when serving a customer with hearing difficulties. At first, the customer seemed worried about his ability to communicate but, after we had conversed successfully via Comuoon, he gradually brightened. 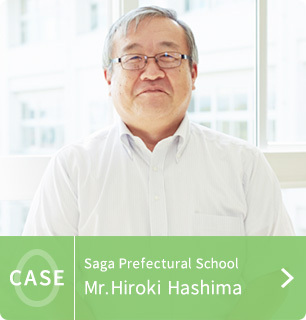 I was very impressed when he said "Thank you!" at the end and left with a smile on his face. That's when I learned the power of Comuoon, how great being able to hear is, and the importance of conveying messages to customers in an easy-to-understand manner as a person who works on the counter. 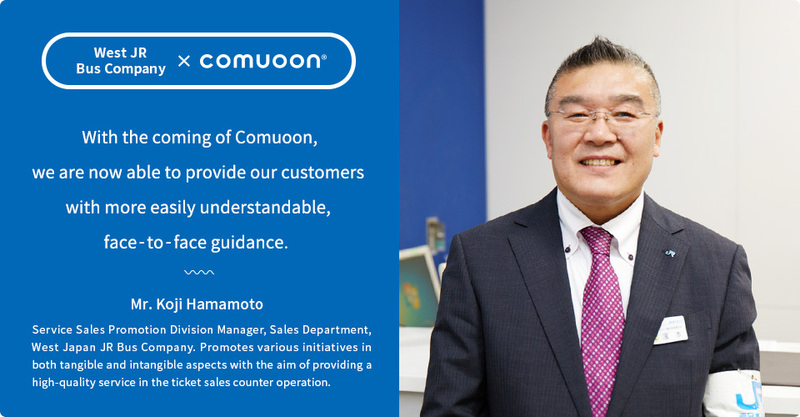 I will continue to work to provide more easily understood services using Comuoon.